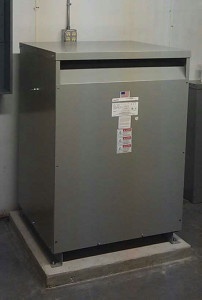 480 to 208 Transformers are commonly needed to step down 480V inverters for 208V services. Unfortunately electrical rooms are often crowded with existing equipment. Sometimes there isn’t room for a transformer, so we are often forced to locate the transformer outside. 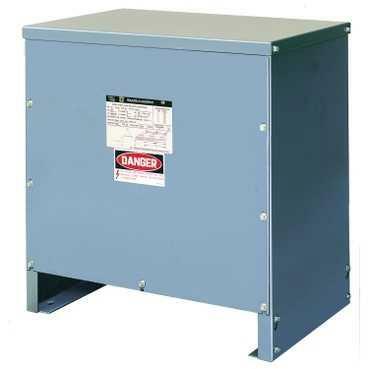 Pad Mounted Oil Filled transformers are rated to be outside in any conditions for decades. These are the industry standard if you’re looking for a medium voltage primary. However if you need a transformer that goes from 480 to 208, you need to go with a dry type transformer. 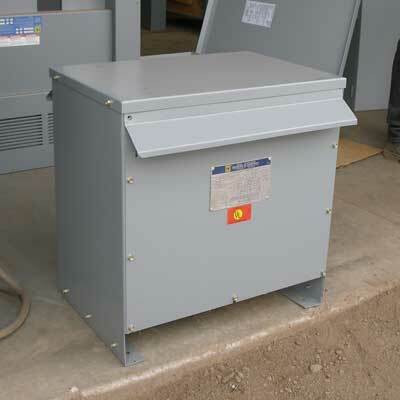 When using a dry type transformer outside, be sure to consider the mounting location and enclosure rating. Standard rating for indoor transformers. Never to be used outside. Our top preference is to mount transformers indoors, in which case this would be the acceptable enclosure. 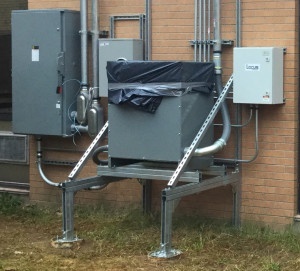 Essentially a NEMA 2 transformer, but it adds rain shields over the vents so it can be mounted outside without rain getting in. However, it’s not 100% effective against snow drifts that may push up and under lower shields. NEMA 3R – Fully enclosed, non-ventilated. This version of the NEMA 3R rating has no vents for rain or snow to get it. However, if you took a typical transformer and made it non-ventillated it would run too hot. To keep the temperatures down without vents, the transformer is specially designed to run cooler and dissipate the heat differently. For that reason, it’s considerably more expensive.